An affordable, yet ideal wall-mounted ski and snowboard rack that provides convenient storage and enhanced space management. A highly durable and secure construction in order to eliminate unwanted damage or scratches. 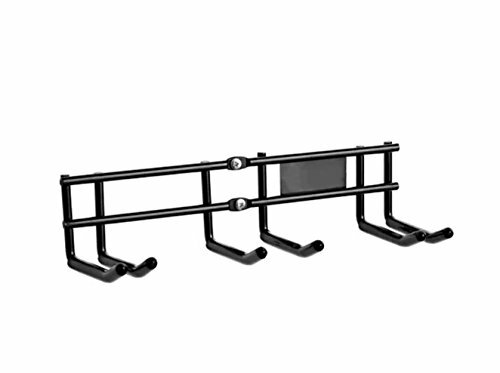 - Wall-mounted ski and snowboard rack, provides convenient and practical storage, so you can organize and store your equipment with minimal effort as well as enhance and improve space management. - Durable and sturdy, steel construction, ensures long lasting power, use and security in order to eliminate unwanted damage or scratches. - Flexible and ideal for any room, garage or basement. Set-up hardware is included for your convenience. - Product's Dimensions: 8.3" x 12.9" x 4.7". If you have any questions about this product by Magic, contact us by completing and submitting the form below. If you are looking for a specif part number, please include it with your message.